Party planning is all about the details. 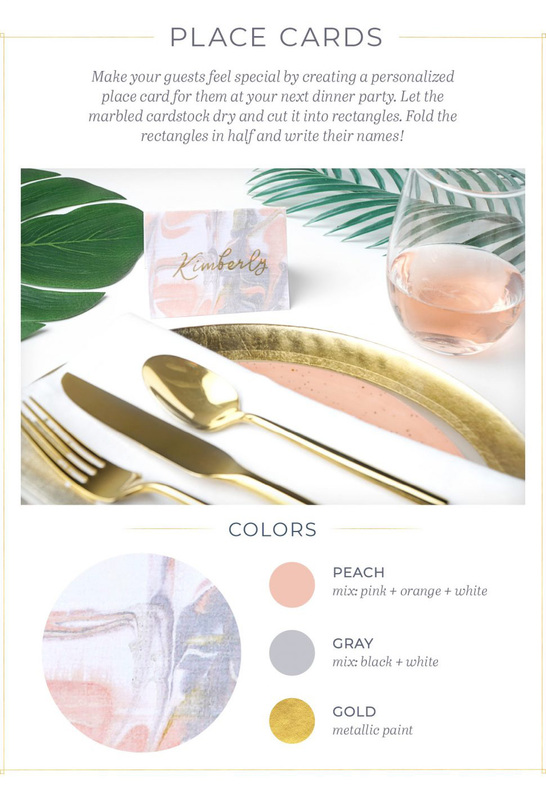 Whether you are organizing a small rosé themed get-together with close friends or helping a bride plan her wedding, the details are what will make your event stand out from the others. 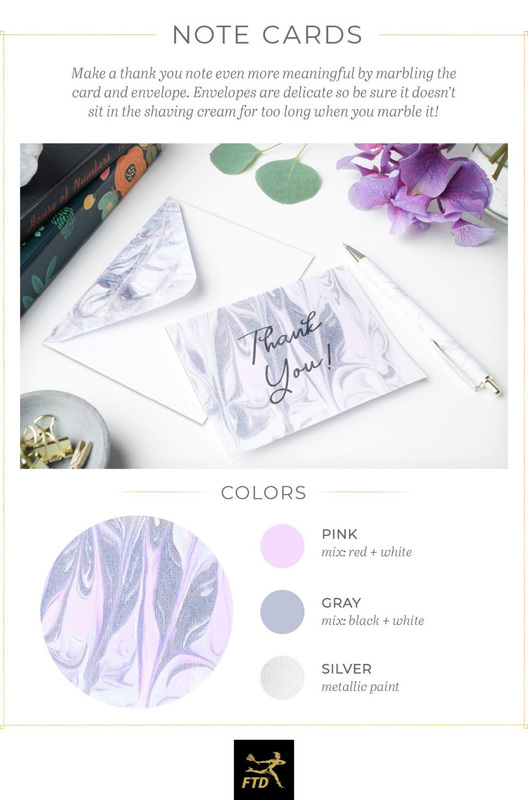 A simple way to take your party to the next level is with marbled paper! Marbled paper can be used in many aspects of your event. 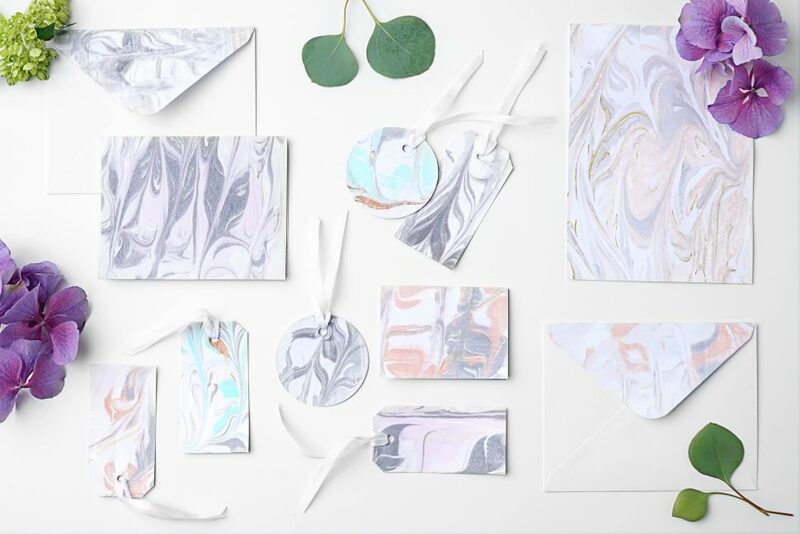 Send out invitations in marbled envelopes, set the table with marble place cards and tie marbled gift tags on your goodie bags. These unique details will tie the event together and make it a memorable day! FTD walks you through how to marble paper and transform plain white cardstock into a work of art. Their tutorial shows you how to marble paper with shaving cream (yes shaving cream!) in seven easy steps. In these 7 easy steps, you’ll have event details that will wow your guests. 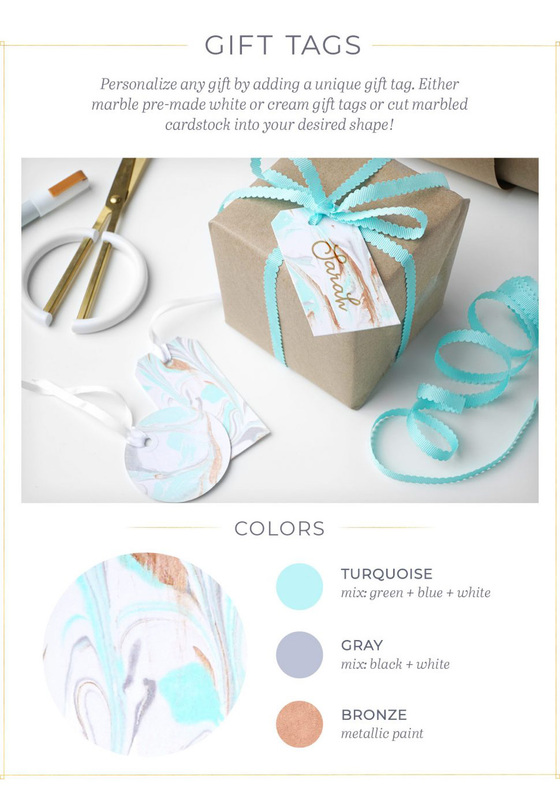 They also have color palette suggestions that you can match to your party. Look how fabulous these are! So what are you waiting for? Let’s get marbling! Get the how to here! Trend Alert! Iridescent Holographic Parties! Mother’s Day Free Printables Find The Perfect Excuse To Have A Party With Small Moments! New Cupcake Wrappers In The Shop!